Examples, solutions, videos, worksheets, and activities to help Algebra students learn about how to graph quadratic equations. The following figure shows how to graph a quadratic equation in general form. 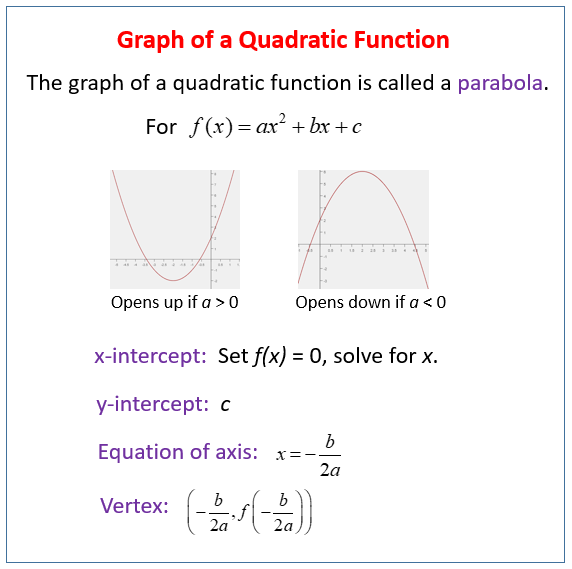 Scroll down the page for more examples and solutions on graphing quadratic equation. The following is an example of how to solve quadratic equations by graphing.